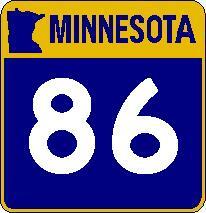 Minnesota State Route 86 is a north-south highway in Central Jackson County. This runs from the Minnesota/Iowa State Line to Minnesota State Route 60, near Wilder. 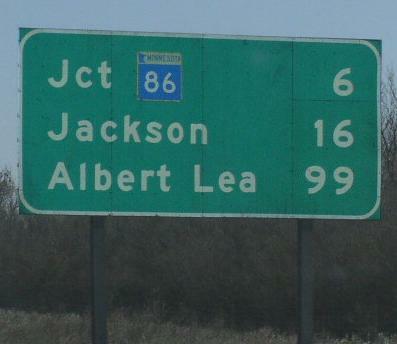 MN St Rt 86 passes through the following town in Jackson County. MN St Rt 86 is not multi-plexed in Jackson County. MN St Rt 86 intersects the following highways in Jackson County. Minnesota State Route 60, near Wilder. 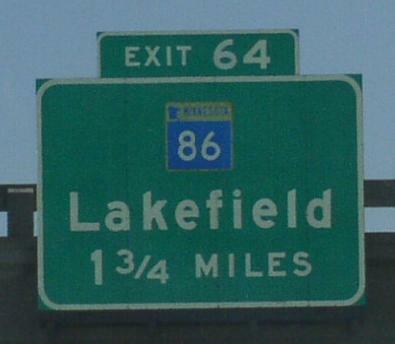 A mileage chart on EB I-90.